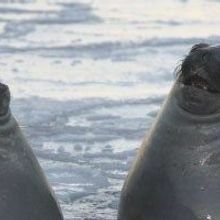 As sea temperatures rise, mammals and birds may lose their edge over the cold-blooded species they eat, as well as the sharks that hunt them. 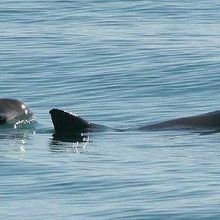 The dolphins and their trainers will search for the endangered porpoises and enclose them in a protected pen. 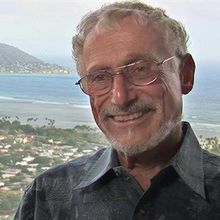 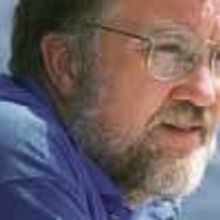 Louis Herman, who made seminal discoveries on dolphin cognition, has passed away at age 86. 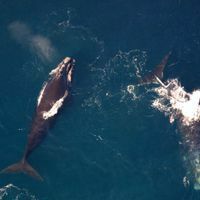 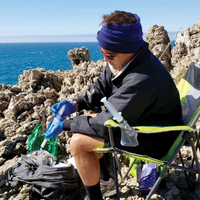 The University of St. Andrews behavioral ecologist studies the social structures and behaviors of whales and dolphins, recording and analyzing their acoustic communications. 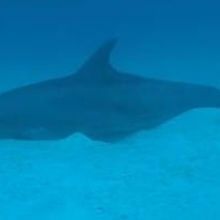 Watch underwater footage of a dolphin sleeping in the wild. 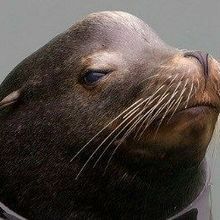 Results could explain why the marine mammals have been stranding on the West coast in record numbers. 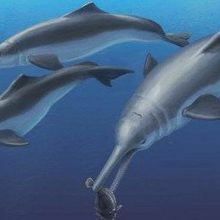 Fossilized remains from a river dolphin relative provide some details about when the mammals left the oceans.